Coral chair with sled base; also available in the model with casters adjustable in height. Coral Soft desk chair for teens, adjustable height and stuffed back and seat. Available with sled base or casters. 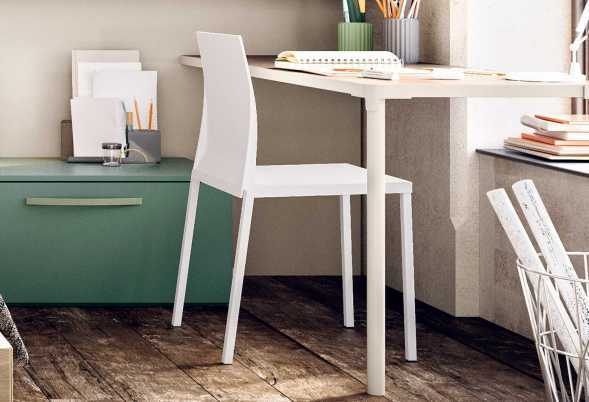 Playa is a clear plastic chair with chrome legs and a cool smoke finish, perfect for teenagers' desks, home offices, kitchen tables or modern living rooms. Sleigh legs with anti-scratch protectors. 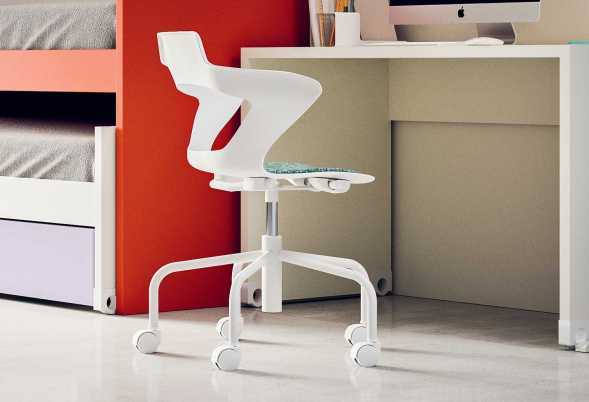 The Polka teen desk chair with adjustable seat has a cool design and it's the perfect addition to any study area thanks to a comfortable padded seat and ergonomic backrest. 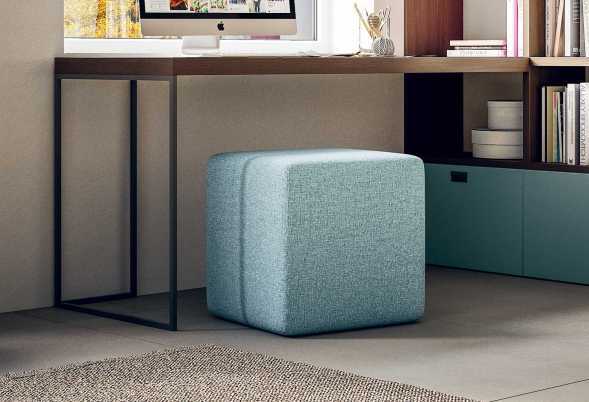 Start cubic ottoman covered in fabric or eco-leather. Useful and suitable for every kind of bedroom sets. Wave white chair for bedroom sets or living room. 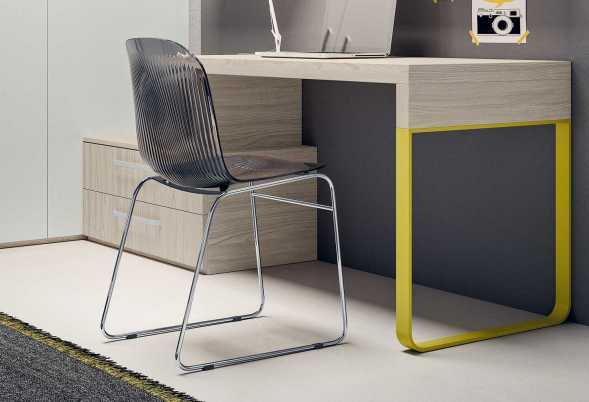 A chair with a minimal modern design style. 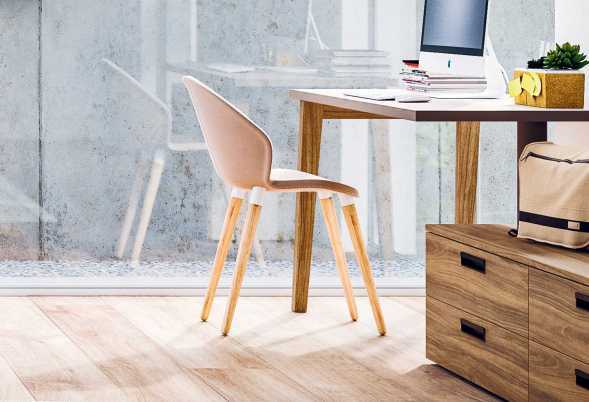 Zen is a chair with legs in oak wood or matt lacquer. Seat with embracing and elegant lines, with visible stitching.